You're right, infrastructure was the right place to start, but without a plan for the apps, infrastructure is a content-starved shell of possibility. Applications are what business lines really care about. 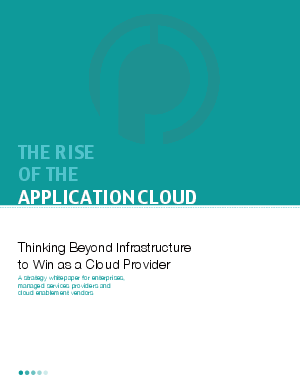 Read this white paper to find out how you can make sure you're delivering an application cloud laser-focused on improving business outcomes.